Blue Note 75th Anniversary Reissue Hand-Selected by President, Don Was Based on New York Times Reader Recommendations! Ike Quebec emerged in 1960 in prime form, recording several gems for Blue Note including Blue and Sentimental, his definitive album. Equally skilled on intimate ballads and uptempo romps, Quebec displays his mastery of the tenor and his huge sound throughout this set. 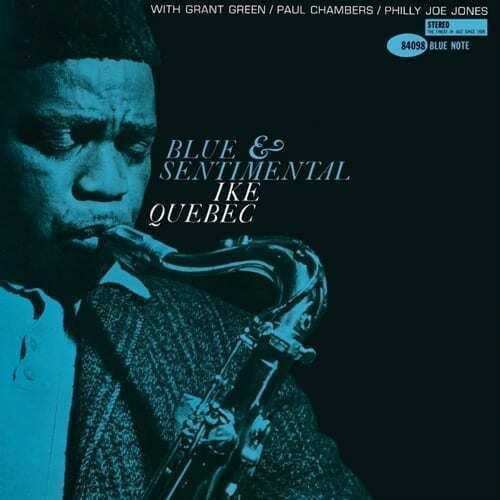 Joined by a pianoless quartet that includes Grant Green, Quebec makes every breath and sound count, playing seductive lines on the ballads and swinging forcefully on the hotter numbers.